When it comes to oral health services, the Dental Hygiene Clinic is among the most trusted names in Mitchell, ON. 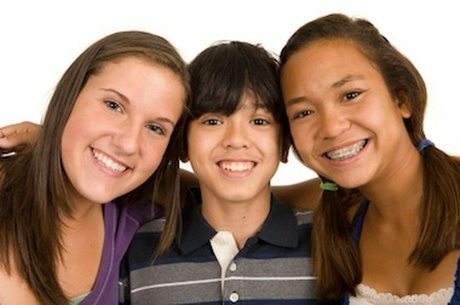 Many individuals and families in the area choose us because our rates are more affordable than traditional dental clinics. Numerous clients also prefer us because of our welcoming atmosphere and ethical practices. Cherie Gethke has been the owner of our office for more than 5 years. Prior to opening our clinic, she managed a mobile service. Cherie’s time in the dental hygiene business spans more than a decade. 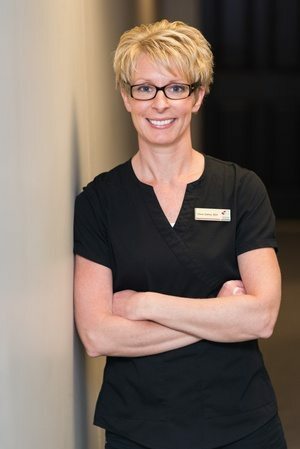 Being a registered dental hygienist (RDH), Cherie is regulated by the College of Dental Hygienists of Ontario. She educates and empowers the public to take care of their oral hygiene to achieve better overall health and well-being. Cherie grew up and still resides just outside of Mitchell. She loves the fact that she can provide her community, family, and friends with preventative oral health care. Well-documented studies show that this service is vital to a person’s overall health. To promote oral wellness in Mitchell, we support different community organizations every year. In addition, we accept long-term care client inquiries in local care homes. Cherie earned her Bachelor of Science degree from the University of Guelph in Ontario. She received her dental assistant’s certificate in 1998, and her dental hygiene diploma in 2000, both from Georgian College in Orillia. In 2007, Cherie began a mobile business. During this time, she visited long-term care facilities (LTCFs) to reach out to those who have difficulty accessing dental care. Cherie had worked with a dentist before she decided to go out on her own. In 2011, she expanded her business and opened our office. Through the Dental Hygiene Clinic, Cherie provides affordable preventative dental care to the public, giving them an alternative to the traditional dental setting. Cherie also manages to still run a mobile service to long-term care facilities in our community and neighboring towns. Call us today at 519-348-8787 or send us an email to make an appointment. You may also contact us for questions about our office. © 2018, Dental Hygiene Clinic. All Rights Reserved.